I have to say 2014 has been a much better year than 2013 and 2012. Still difficult in some parts but all in all a pretty good one. This isn't a rambling post about how good life has been though, that will come later. This is going to be about my favourite past-times which mainly focus around film, TV and books. Basically any opportunity to sit down! I have seen so many new films this year, new releases and also some 'classics' that I have never seen before (including Die Hard... Don't judge me). This year, I think my favourite film has been Maleficent. 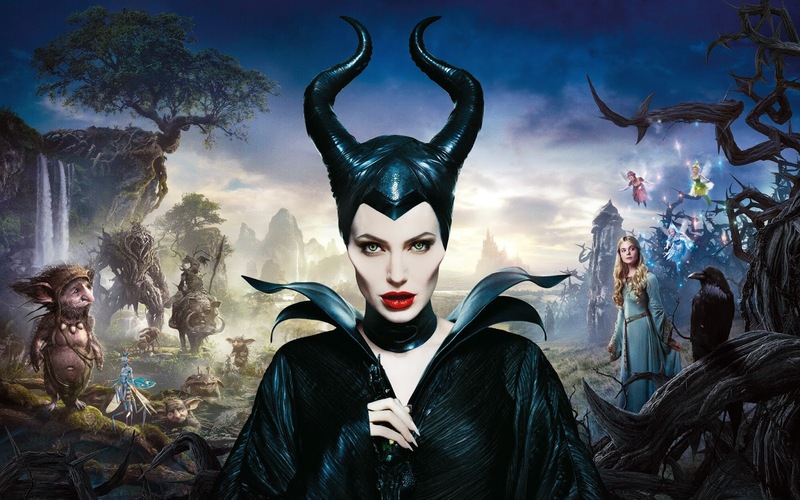 I got excited about this film about a year before its release when we found out Angelina Jolie would be playing the ultimate Disney Villain. What I loved most about this film is that it brought a whole new perspective to the woman who absolutely terrified me as a 6 year old. Angelina Jolie combines the terrifying with the gentle in the most spectacular way making her role as Maleficent flawless and perfect. I have this horrible problem where I binge watch TV shows and I have been doing this WAY before I had Netflix at my disposal. This year I have recently discovered Breaking Bad and have continued my obsession with The Walking Dead and Supernatural. However, I think my all time favourite is Sons of Anarchy. I discovered Sons of Anarchy about seven years too late and after binge watching all previous series, I had to not only deal with the fact that this was the last season, but also that I had to wait a whole week in between each episode. It was constant torment. #FinalRide was constantly trending on Twitter and it was a mission to avoid spoilers (unlike the Walking Dead mistake in November). I saw my favourite characters meet a gruesome end and couldn't handle the end. The diversity of the characters is one of the amazing things about this programme, with each season you will never know who's side your on. Katey Sagal is spectacular (as always) and Theo Rossi and Tommy Flanagan might be quickly becoming two of my favourite actors. I have read so many books this year, its really difficult to narrow down what has been my ultimate favourite of 2014. After thinking so hard it made my brain hurt I have decided it's got to be Farenheit 451, set in a kind of dystopian future where books are banned and firemen start the fires instead of putting them out. That's all I'm going to tell you about it because I think everyone should read it and I don't want to spoil anything. What are your favourite books, TV shows and films of 2014. Tell Currys here! It seems silly that I could feel my heart shatter over such a trivial thing. I had one thing on my 'bucket list' and I have just found out that it's something I will never be able to achieve. I have loved Oscar Wilde since I first read his collection of short stories as a child. I don't remember who bought it for me as I was tiny but I remember The Happy Prince and The Nightingale and the Rose being my favourite stories. For years I have wanted to show my admiration for my hero by following the footsteps of thousands of others in my own pilgrimage to kiss his grave in the most spectacular shade of red lipstick you could ever find. If you ask me, it's beautiful. I may be bias but this does not look like graffiti, nor has it been done to deface a grave. Each kiss is a life he has touched and for the better. After all, if he wasn't loved then why would people want to do this? 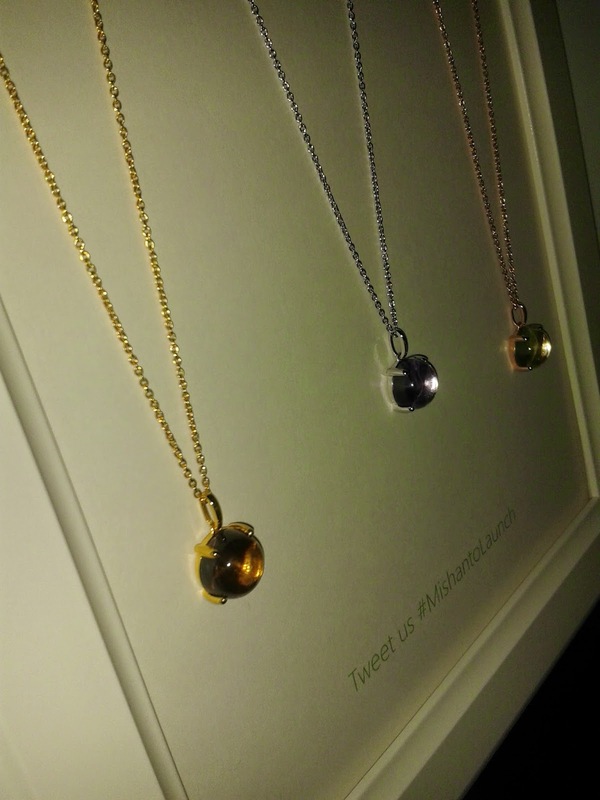 Isn't it just the most spectacular way to show your affection for someone who is LONG gone? 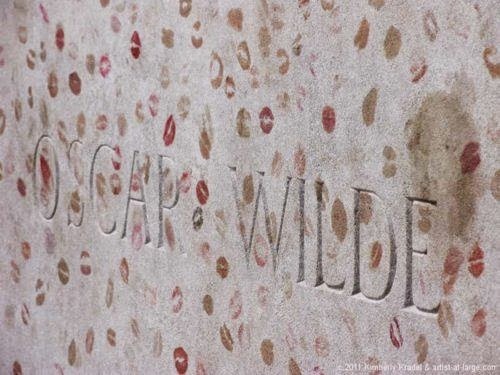 I am a little behind the times I'm afraid and have recently discovered that his grave was made 'kiss proof' in 2011 and surrounded by a glass barrier after claims that the lipstick was eroding the stone and lead to frequent cleaning. Again, possibly bias, but surely the constant cleaning would have caused more damage than the lipstick? Oscar Wilde himself once said (along with all of his other genius remarks) 'Who, being loved, is poor?'. 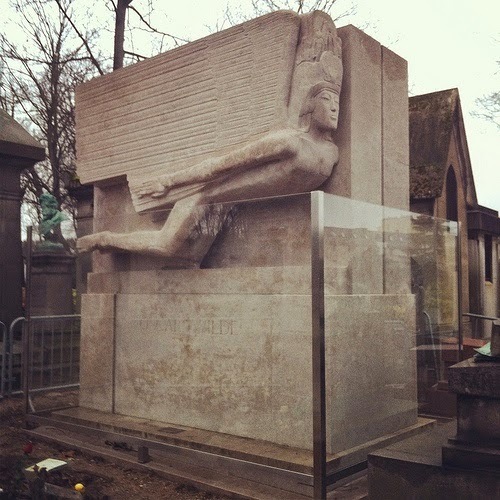 Driven out of the UK and living his last days basically destitute in Paris and having a paupers grave because no one could afford to bury him, Oscar Wilde was certainly poor in the materialistic sense. However now he is one of the richest men who ever lived and the thousands of red kiss marks certainly showed that. 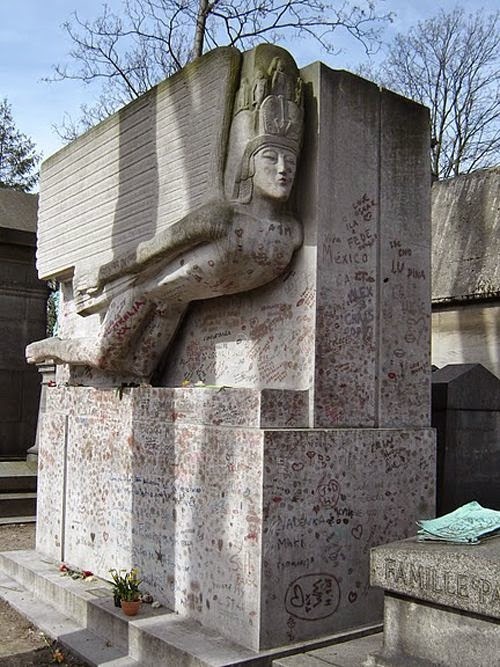 It's a shame to see them gone and I'm sure Oscar Wilde wouldn't have wanted them to be washed away. I will find a way to show my love for him eternally in some way, for now I'll just have to hope that the barrier goes away. Blogging - Why do you do it? It's mainly the title here that bugs me. Bugs me a lot. 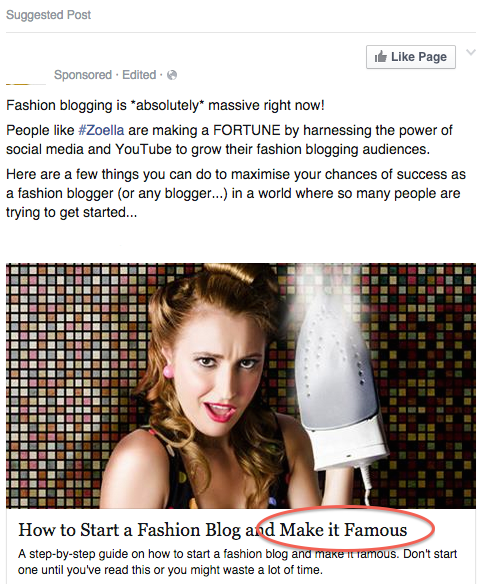 Especially the 'make it famous' part. This is not intended to be a ranty post, I just feel like if you want to start a blog then you shouldn't do it because you might become famous out of it. Don't get me wrong, those who do have earned it and go you if this is your ambition, you fully get my support. I however blog because I enjoy it. I have always loved writing (whether or not I'm any good at it), I love sharing my experiences and tastes and most importantly, I like talking to people. Whether this is another blogger or a brand. 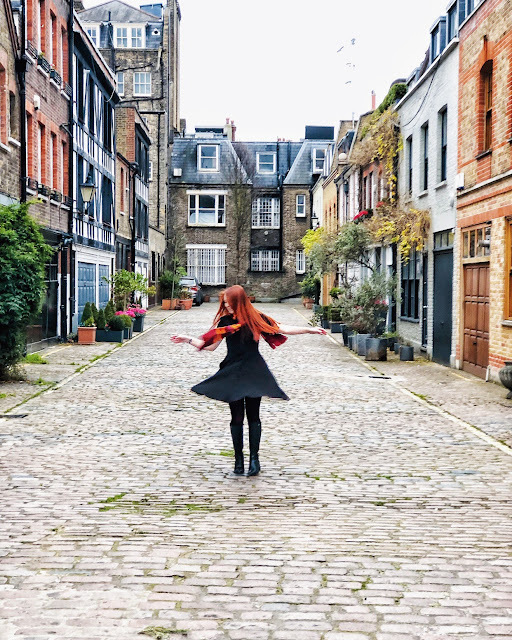 I have never aimed to become famous out of blogging and when I've been asked 'what my end goal is', I don't really have one. I blog purely for my own enjoyment and if people are reading that's a wonderful bonus and it's always amazing if a brand has chosen you to work with them. With my part out of the way, if you blog I'd love for you to tell me why you do and what you love most about it. Do you want to be the next Zoella or do you just love chatting like I do? 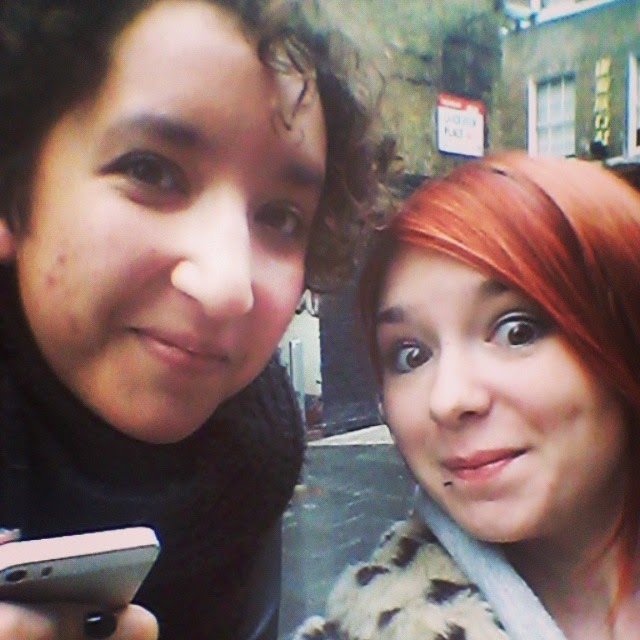 Last week I got to go to my first ever Blogger party with The Blogging Owls. If this wasn't awesome enough, it was a Christmas jumper and was the perfect time to break out my new Christmas Jumper. It has Olaf on it. Look how awesome it is. To go for an ultra Christmassy-vibe I wore the jumper with my favourite sequin leggings from Topshop (YEARS ago) and my Tatty Devine headband Charlie, Distracted picked up for me from their sample sale. Pretty much all the glitter/shiny. What's your ultimate Christmas party outfit? 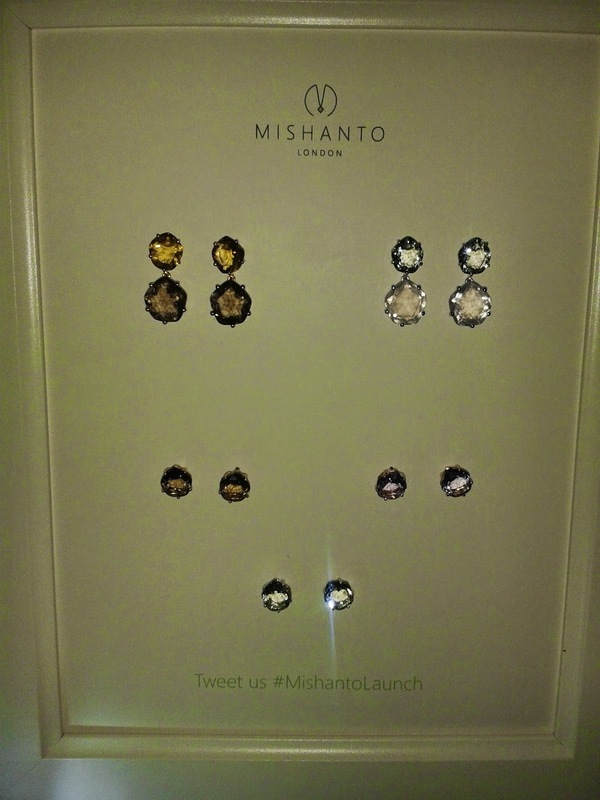 I had never heard of Mishanto before but I love how they're working hard to create affordable jewellery that's also quality. There's nothing worse than buying a beautiful piece of jewellery only to have it stain your skin green a couple of weeks later. 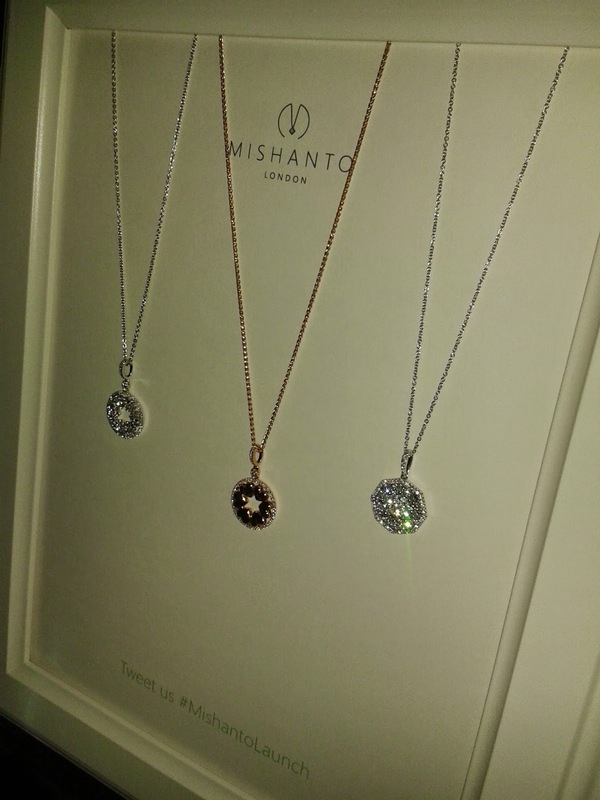 One of my favourite quotes from 2014 Is when my manager said 'I've been blinded by my own diamonds!' 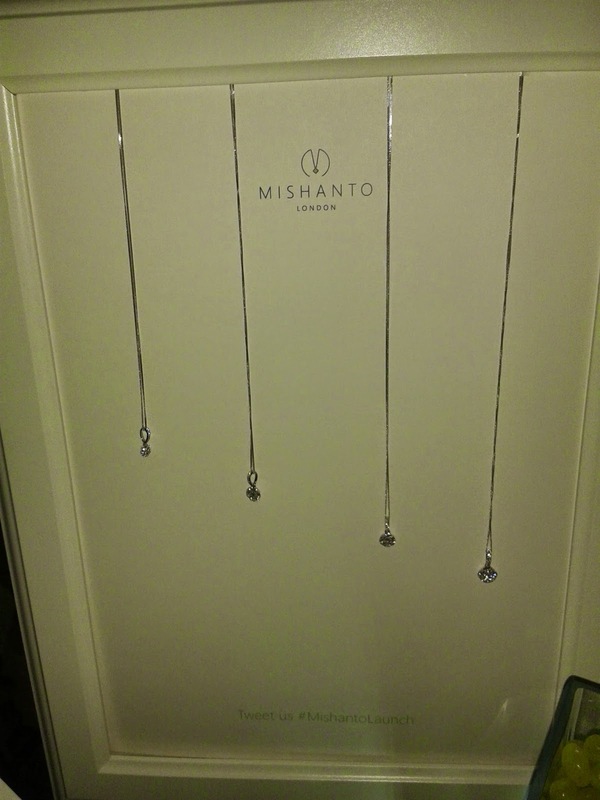 and although these weren't diamonds, it was pretty much the same thing. I even have my own Cari bracelet* now! Look how beautiful it is! I'll definitely be wearing this to the work Christmas party. My goodie bag from the event. I have a serious obsession with nail polish, it's a little worrying how many I have. The weird thing is, I lack autumn and winter shades. Everything seems to be pastels or bright colours that I use for nail art. I managed to sort it out though with my recent Nails Inc delivery. 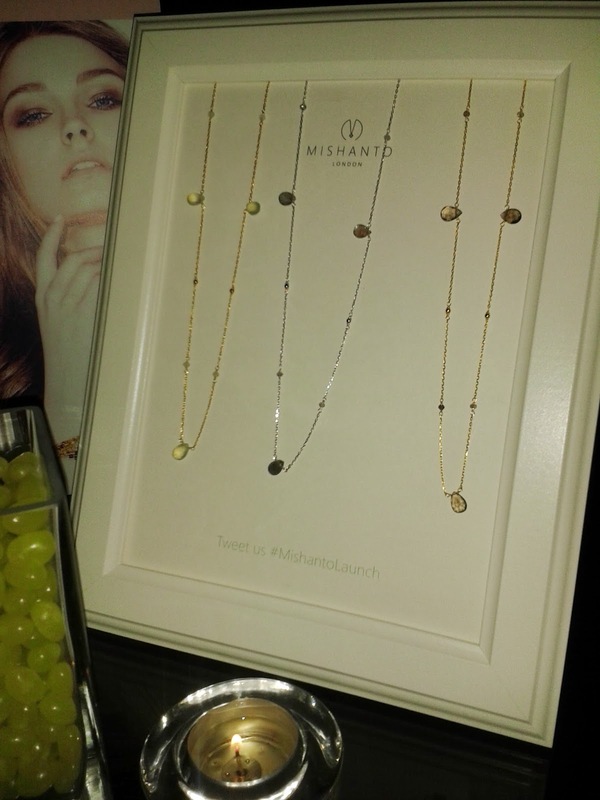 Some of you may have already noticed Alexa Chung has done a range with Nails Inc and some of the shades are wonderful. Yes, I know some of them are pastels but a combination of them really give off a Christmassy vibe. I got her 'Hearts' collection (it comes with a clutch) and the first thing I did was use her 'Midnight Sky' with 'Hearts'. I haven't worn something so dark for a while! Gary and I noticed that it was so dark that you only needed to apply one coat and still get really good coverage. I applied two out of habit and added the heart confetti to my ring finger as an accent nail. I love these little hearts but did find them really annoying to apply purely because no matter how much a shook the bottle, the brush still kept coming out clear with no hearts on it. The look here was finally achieved using four coats! After opening the packet, I saw that not only was there a new bottle design but there's also a new brush! I was really confused at first and didn't understand the concept of a rounded nail brush until I started using it and realised that because it's rounded and also really thin, I ended up with a lot less nail polish over my fingertips than usual because I could do all the little fiddly bits without worrying! Let's face it. This collection is all shades of Christmas. Like a magpie I can't resist anything glittery so I HAD to have Winter Wonderland. I have only used the red one on my toes at the moment (no way I'd inflict a photo of my feet upon you) and it took a couple of layers to get the look I wanted but it'll look perfect over the Alexa Midnight Sky. After reigniting my love for Nails Inc, I'll definitely be back soon to get my hands on the new Victoria Beckham collection! Have you tried the Alexa range from Nails Inc yet? Live in London? A movie buff? 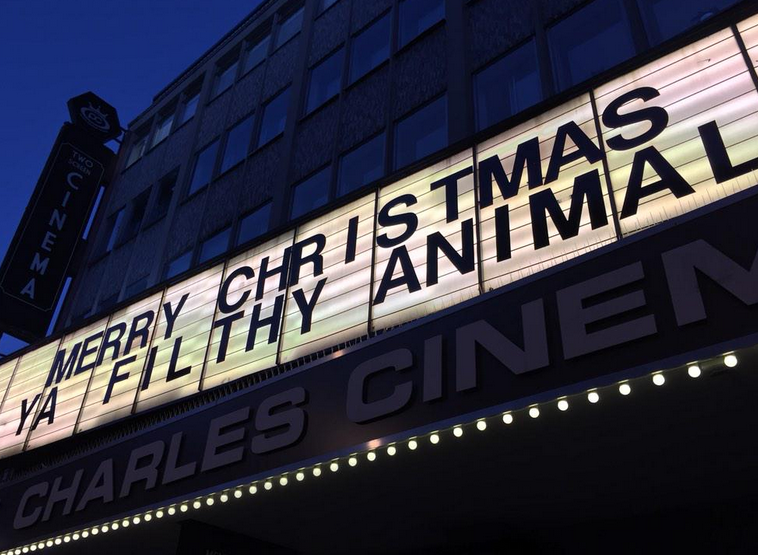 Been to the Prince Charles Cinema? What do you mean no?? Go and sort your life out! Okay, that may have been a bit aggressive but seriously you have no idea what you're missing out on. Until you've done it, someone saying they're going to spend ALL night in a cinema sounds a bit mental and in all honesty it is, it's just awesome at the same time. A while ago, Charlie, Distracted and I went to the first ever Pyjama Party at the Prince Charles Cinema and we didn't make it to the end. This year we vowed that we would and could proudly stand in the survivors photo out the front of the cinema. Plus we had the joys of sending countdown snapchats to my boyfriend where you could see us get steadily more tired as the night went on. For the Christmas Pyjama Party we watched (in this order); Home Alone, A Muppets Christmas Carol, Scrooged, Gremlins, Die Hard and Elf. What I love most about marathons at the PCC are that they're so engaging. Everyone's encouraged to wear their pyjamas (some obviously don't), called up on stage, quote and sing along without people judging you or telling you to shut up. You could recognise the seasoned Pyjama Party go-ers from the 'virgins' based on the number of snacks and sleep wear they brought with them. Let's face it, when you're going to spend 12 hours in a cinema seat, jeans are a no and you MUST have a sleeping bag. I got home at 10 am the next day and forced myself to stay awake until a more reasonable bed time in order to not screw up my sleep patterns. The Monday following was hell. Here's our survival selfie. Shocked to see we look surprisingly perky despite feeling like we were dying. Have you ever survived an all-nighter at the cinema before? The weekend just gone was full of Christmas fun and I'm excited to share it all with you! 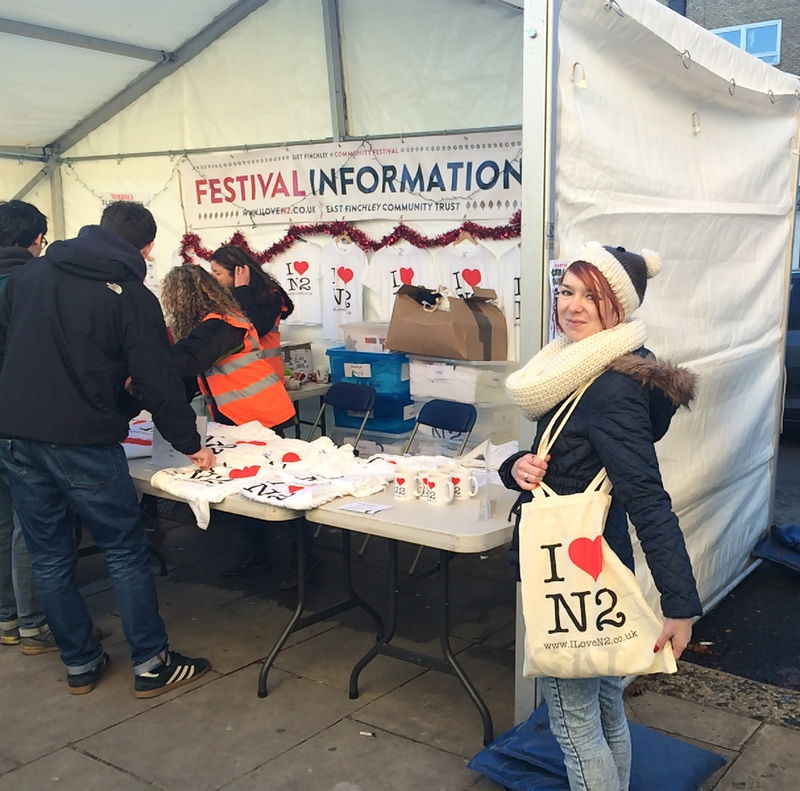 On Saturday we had a local Christmas festival to turn on the Christmas lights in East Finchley. I have lived in the area for two years now and they haven't done it before so it was very exciting. There were bands and choirs, a European food market and all the local independent shops (and even some pubs!) had set up stalls along our high street. There was such as sense of local pride that I can't wait for the next one to happen and I even found out that not only is there a local orchestra, there's also a ukulele band! I can't decide which one to go to! I got to stroke a reindeer! They closed off one of the streets to make space for a stage! The local choir singing Christmas songs! Do you have any local Christmas celebrations going on? Deep down inside we all love Christmas songs, no matter how much you pretend to hate them there is always at least one that you can't wait to here because it marks the official start of Christmas and you WILL sing along. Preferably loudly and badly. Here's a couple of my all time favourites. I have already been playing them. On repeat. I'm sure my neighbours hate me. Pretty much all versions. Especially the Love Actually version. This is the only Mariah song I find acceptable and don't think I will ever stop loving it. This is just a perfect song. I don't need to say any more. The first time my boyfriend heard this he was like 'how the hell is this a Christmas song'. In a way he's right but just like 'Fairytale of New York' it shows an entirely different side of Christmas and it's just hilarious. Zoe Deschanel is one of my favourite people in the world and back when I first discovered she was in a band I didn't think it was possible that I could love her even more. Some of you may recognise it slightly as 'that song she sang in the shower in Elf' but this is even better. Cheesy as hell but I love it and you know you love it too. Don't lie. What are your favourite Christmas songs? Let me know in the comments! The chances of me getting even half of this list are slim to none, maybe because some of them are a little too high up the price bracket and also because my boyfriend has a habit of ignoring gift lists. This has purely been written as a 'if money was no object' list with a couple of more realistic things thrown in there too! 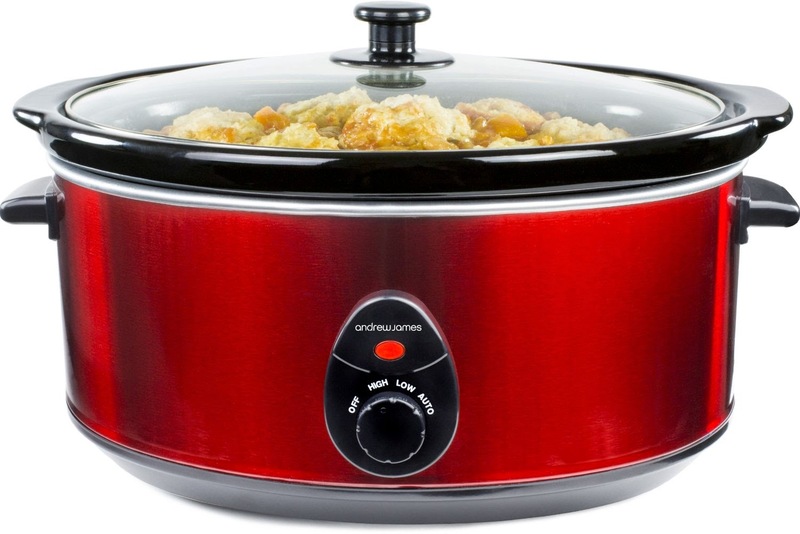 My Aunty Karen bought me my first slow cooker back when I was living in a rubbish studio flat with no oven. It was ideal when I was living by myself but when I lived with Charlie, Distracted we had three of them! Also, now I'm living with my boyfriend and we make a lot of more substantial meals, my little 1.5L slow cooker isn't quite going to cut it any more. I love this 6.5L one by Andrew James. It's only £19.99 on Amazon so maybe I'll get lucky. I love cooking and as I do more of it I'd love to have some of the best quality stuff out there. I have started collecting Le Creuset and am currently the proud owner of a pie dish and an oval dish (this one is courtesy of our local charity shop!). 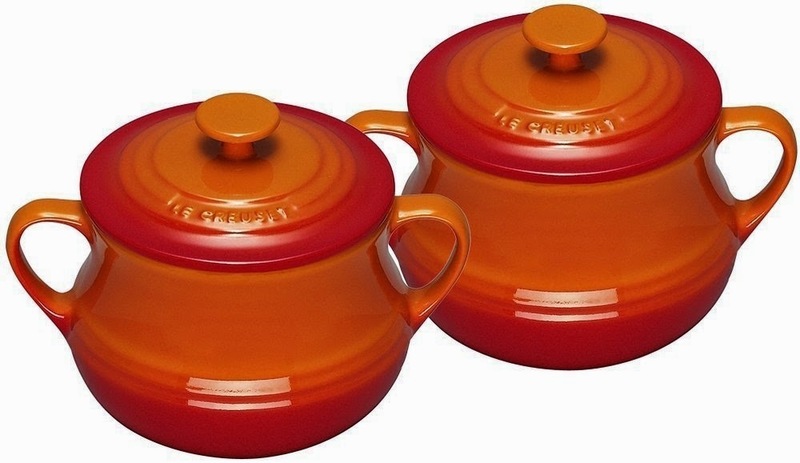 I've been going for the Volcanic range as I like the idea of having a matching set and these soup pots are just too adorable. 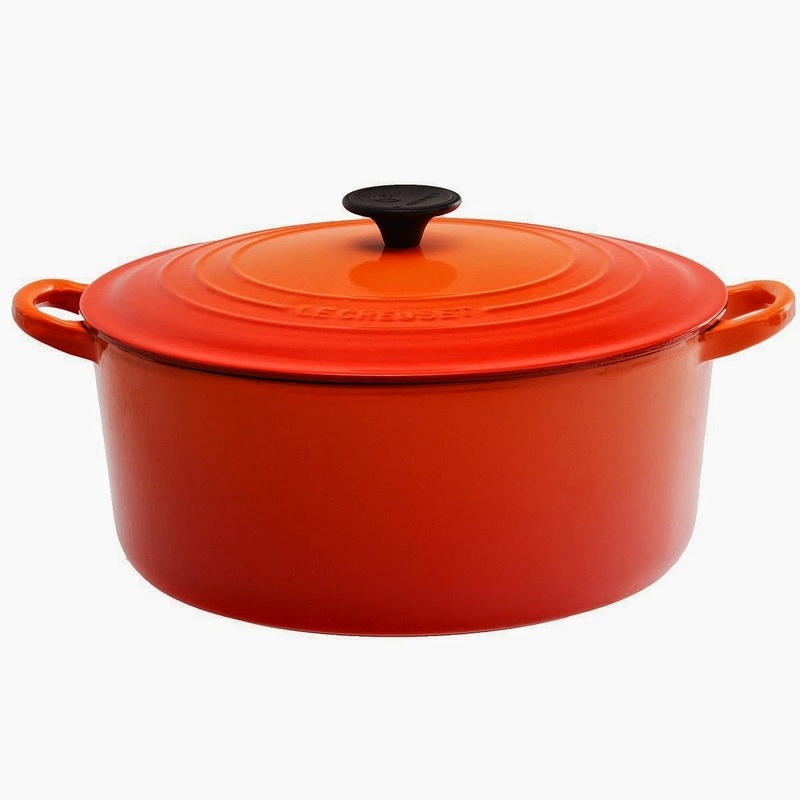 I cook a lot of winter warmers so these would be ideal, especially since (from experience) I know Le Creuset bowls keep your food nice and warm if you're a slow eater like me. Plus, they're currently less than £30 for two on Amazon! 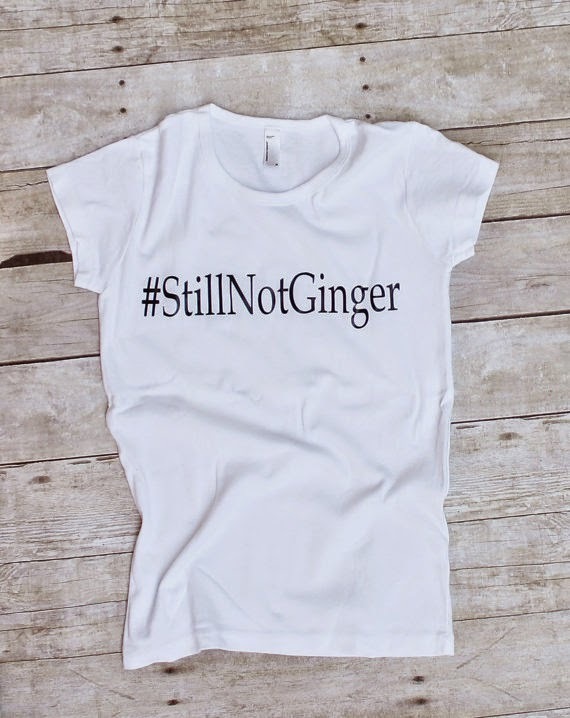 This is a simple one and for those of you who know me, you know I've wanted to be ginger for years. *sigh* Also, Doctor Who for the win. 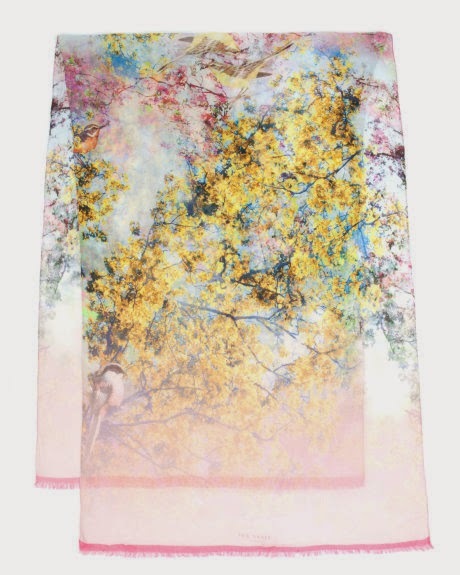 I love scarves and I love Ted Baker so obviously something like this would be in here. I actually have the t-shirt to match this (sale House of Fraser!) and it would go so well with my bag. Again, if money were no object. I was really upset recently while, in the middle of taking up some curtains, I discovered that my sewing machine had given up on life. As a tiny person I need to start taking up and in my clothes more so they fit better and also I'd love to learn how to make dresses. I can't do either of these things without a sewing machine. I don't need the fanciest thing on the market, just something to get started with. 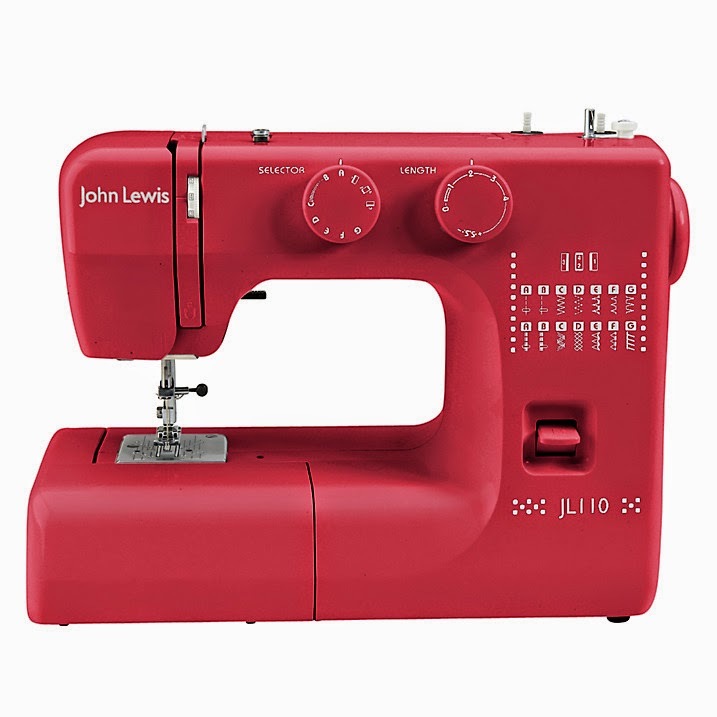 I quite like this one from John Lewis, it's bigger than my last one and has more settings so it would be a good one to improve my skills. Yes our tree is already up. Yes it went up the day before December even started... don't you judge me! I love Christmas and despite how tacky some of them can be, decorations are one of my favourite parts. There's nothing better than having the fairy lights on with a warm drink and one of those bad Christmas movies we can't help but love. My boyfriend moved in earlier on in the year and even though he has a bunch of his childhood decorations, we didn't have anything for the tree. I wasn't too fussed by this because it meant we could buy some together which makes them even more special. Our living room all lit up! On our tree this year we've gone for silver, pink and blue but we also have two statement pieces. One is the new Ted Baker bauble Gary let me buy as a reward for Christmas shopping in Westfield, and the other is a memory star for Gary's dad and Gran who both passes away from cancer a few years ago. I love having these two seemingly random pieces on our tree because they're beautiful and Gary's one adds something special. Doing Blogmas is quite a commitment! One different post for every day in December, I hope I manage it! Today's post is all about how I'm getting ready for Christmas, mainly in pictures - some you may have already seen as I've been a bit Instagram happy! I think I'm more excited about this Christmas than I was last year so celebrations already started at the weekend, even though it wasn't even December! Christmas Shopping was officially underway and I was so excited that I insisted on wearing the most Christmassy outfit I could! Check me out! 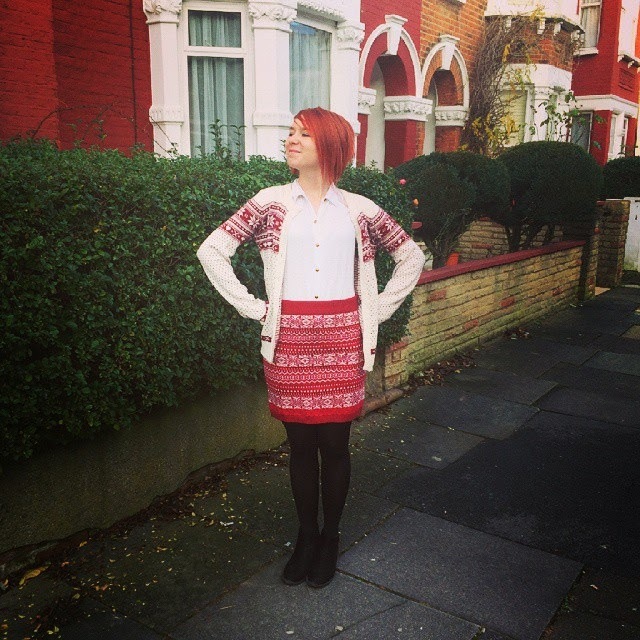 Cardigan and skirt are both from the Primark Christmas range last year. My Nanna has the same cardigan. 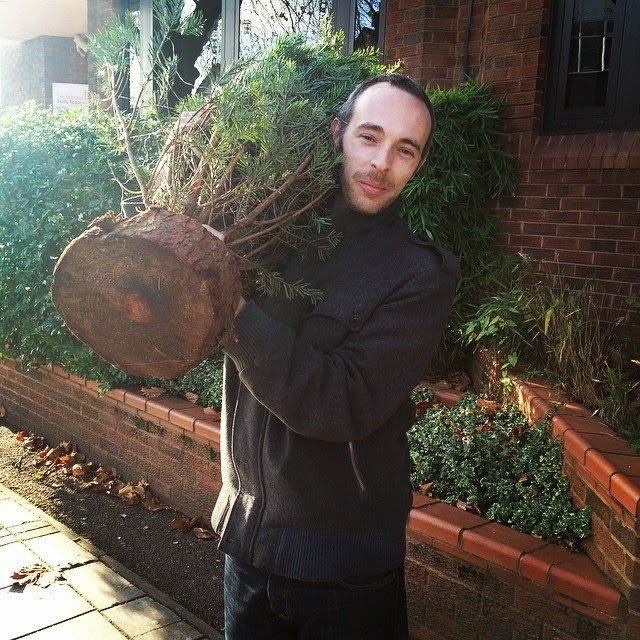 On Sunday we went full whack, got up early (for me...) and ran down to get our Christmas tree. Gary was the poor sod who had to carry it home because this year we got one bigger than me! Ignore Movember facial hair. It's all gone now!! There we go! Number one done! Are you doing Blogmas this year? Leave your links!